Well, I started last year's thread almost exactly one year ago, so I guess it's time to start the 2019 thread. (For reference, here are the complete lists of last year's finalists and TCCs). Prep classes are underway! With Michelle Keys out of the picture, I wonder who most of of the women will flock to for class. Sarah Idziak and Jenn Amburn? Jasmin Ammons and Taylor Tauss attended Jenn Amburn's first 2019 prep class. Also in attendance were Kali Mikelson (2017 finalist, 2018 semifinalist) and Kylee Wideman (2016 finalist). I will be interested to see if they audition this year. 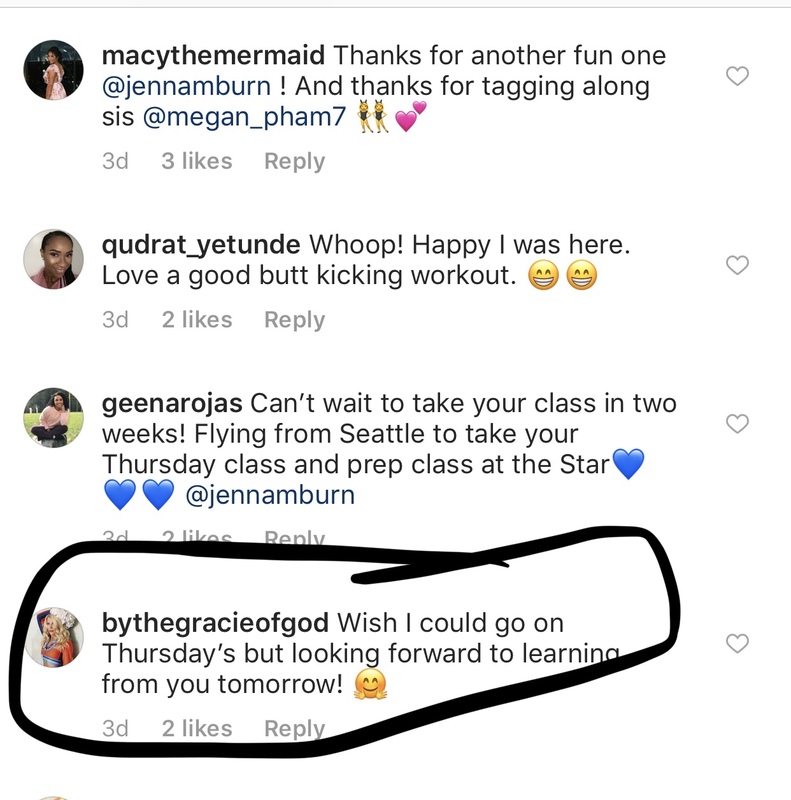 A few other women commented on the post below that they were also there for the class, but it's hard to tell who is prepping for tryouts and who is just taking class for fun. 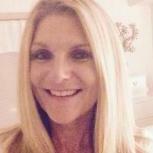 Someone else I have an eye on is Kelly Porazzo, who has been auditioning for a few years. She's made it to semis a couple times but never as far as finals. 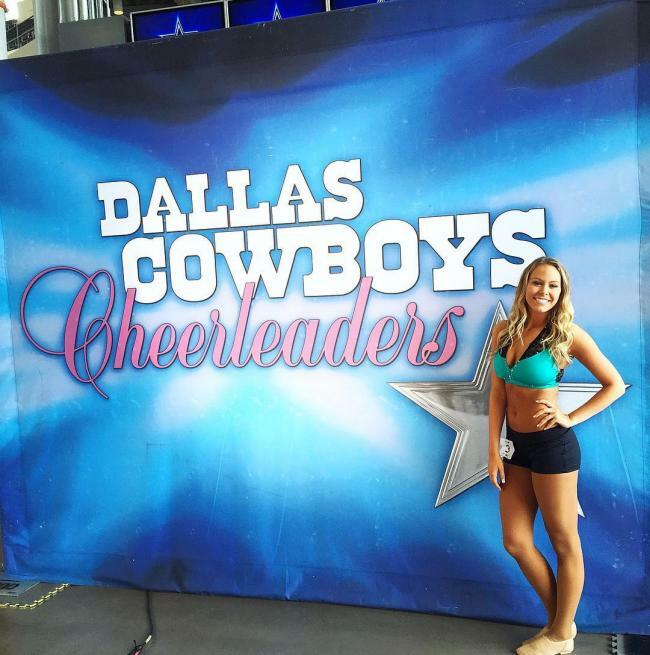 She's always been a blonde for auditions, but she just went brunette and moved to NYC to spend the next several months preparing for auditions (DCC auditions, I assume, although all she said was "NFL auditions.") Moving to NYC is an interesting strategy. While I'm sure there is a wide variety of classes and coaches available, I hadn't heard that NYC is a mecca for power pom, high kick, and competition-style hip-hop dance styles needed for DCC. And finally, I just have to say a little "woohoo" for Hannah Prosser, aka "Road to DCC girl" who I've been keeping an eye out for since discovering her. Hannah is the girl who as on her college dance team in Wisconsin and dreaming of (and working toward) auditioning for DCC for years. She missed last year's audition but now she's finally in the right place at the right time. She's moved to Dallas, is enrolled in graduate school and is teaching dance on the side. She's all signed up for prep classes and I am excited to see how she does. Just getting to audition is a huge deal for her. All are currently seniors in college, and have also been on their respective college cheer/dance teams. I'll be on the lookout to see if any decide to audition for DCC this year. Shelly had prep classes before Christmas. I know some of the cut TCC's were there including Lily and Jasmin. I don't think VK has attended any prep classes at all. I'm hoping that Malena has moved on and has a fantastic new job. Dayton seems to be having the best time. It will be interesting to see who takes Michelle K's spot. I was trying to think of someone who has the choreo skills to do it. Danielle, Amy T, Melissa W and Mary have filled in for Jenn - her classes always seem to be full. She's mentioned on Insta that there will be tests similar to what is given at auditions and she has former DCC help with showmanship. Hey @sleepyjean, great to see you back! Can you tell me what your first Instagram link was to? All I'm getting is what's showing above saying the photo has been removed. Not holding my breath but do you think there's any way Tara will re-audition? Someone posted the below on Jan. 4th on another thread There were pictures of these girls on their stories. There was a group shot that captioned "missing Lily tonight" or something like that. So should we assume that Malena is trying out again? Maybe some of them were just visiting. "I think JennA is a good teacher. I saw that Taylor, Malena, Jasmin, and Kristin from training camp were at her class yesterday. Kylee was there too, I saw Jenn reposted her video on her instagram story"
Oh, man, looking at Cami's instagram, that girl has got some ribs -- she needs a sandwich or 30 or 40 . . . I must have missed something about Michelle Keys... what happened to her to be out of the picture? Michelle has moved to Hawaii with her husband. Kelly Parazzo's insta account is private, so that maybe the one that isn't showing up. It doesn't show up on mine either. So you may need to screenshot and post that @sleepyjean since you follow her. Who is teaching the Friday prep classes, I think those are the ones Road to DCC girl said she was going to. Why would a "speculation" thread be a spoiler thread? I think DCC is done with Tara. I don't know at this point what I think About the possibility of Malena re auditioning. I'm thinking they did't appreciate her final reaction to being cut at the last and may be done with her also. Ahhh....didn't realize she'd gone private. Kelly, incidentally, is one of the ones who had a go fund me to pay for audition expenses. I wasn't sure whether to mark it for spoilers or not. I decided to err on the side of spoilers because this thread will take us all the way up to auditions and it will be apparent that some people will be at auditions. There may be some people who won't want to know ahead of time who shows up for tryouts or if Victoria breaks a leg or something and can't audition. I hope she does. I can see Kristin and Jasmin along with some/all of the AAIAs. There'll probably be girls from other TX teams (Mavs, Ice Girls, Legends, Sidekicks, Revs) and ones from out of state NFL, NBA, NHL teams too. No kidding. Girl looks seriously undernourished in a few pics. Yikes. I'd love to see Lily give it another go. Girl made it so far and seemed like a sweetheart. It killed me to see her cut after what I believe was her one and only visit to the office? Ah, that must be why it wasn't showing up. Nice catch @Txmomof2. Re: Malena - not sure what to think yet. She is beautiful and well spoken. Can she handle it a second time around? Not just the choreography, but her emotions? Side note: I feel like I've graduated from the @sleepyjean multi-quote school of replies, lol. I can see it being a small rookie class I think Kellie will try to keep as many vets as she can !!! Hard to believe it's that time already! Plus we've seen so few retirement announcements. Yeah they have til February to let Kellie know what their plan is !! I wasn't sure whether to mark it for spoilers or not. I decided to err on the side of spoilers because this thread will take us all the way up to auditions and it will be apparent that some people will be at auditions. Oh, is that the timeline? It does seem that in the past by this time many have announced their intentions on their social media. Maybe now that their football season is over we'll start to see some. I don't think Hannah Prosser (road_to_dcc girl) will make it past the first round unless she's VASTLY improved from the videos we saw of her before. I think she needs some more time as well as some experience on another team, like the Ice Angels, before she would have a solid shot at DCC. IF she comes back stronger (like Erin did) but IMO I don't see her making the team. I can see her making TC a 2nd time but getting cut again. I wonder if Sheridan Lewis would ever audition for the DCC again. She was the one who got sick at semis/finals a few years ago and was on the (now defunct) 2015-16 Texas Star Dancers. I'm hoping some like Malena won't audition again. I'm sure Kelly F. knew she wasn't going to make the team. In my opinion Malena is a solo performer, not a team performer. She couldn't dance with the group, on the field or in the studio, but by herself she's stellar. It was mean to not say something when Malena said she was going to quit her full time job for DCC, when I'm sure they knew that she was going to have to improve a lot to make the team. I'm not sure I'm watching this season, after last year. I may watch the first episode, but I'm not even sure of that. Even if a certain person comes back healthy thin, nicer, and dancing much better, I'm still ticked about the lack of criticism compared to other TCC. The extra chances she was given, in my opinion, and the disrespect should have ended her chances, but I'm sure she'll be in the front row for everything again this year. I could see Lily making it if she re auditions. I got the impression from the show that Brennan was the weakest link at the end but they didn’t want to cut her for a third time and all the group leaders were vouching for her. In the end they kept her, and Lily was the unfortunate sacrifice. I can't even remember why Lily was cut - or I mean - what reason if any they actually gave her? A couple of them left in 2017 to audition for the DCC and some went to Florida for the MDC. Random here, but I was just checking on Mary Kate Domino's Instagram and it's still gone. For those of you who don't remember what happened, she was a former DSIG who auditioned, didn't make it to Finals, posted a clip of her finals routine, then not only took it down a short time later, but deleted her whole Instagram account. Supposedly, comments made on this board were one of the reasons she took it down. I can't seem to find her on any other social media as a dancer, either. I wish she'd return to social media and post, but I can understand why she hasn't/isn't yet. I wonder what's going on with her. Mary Kate is back on instagram. I'll be curious to see if she auditions again, and if so, if she takes her account down. "I’m actually retiring, for real this time. And it has nothing to do with “giving up” and much more to do with the fact that my goals have changed. I always sought out and loved dance team because it gave me a chance to do what I love and build a community of best friends to do it with. But what my year off taught me is that I don’t need to be on a team to do that. Performing is a rush, but my favorite part was always grinding at practice with my best friends; training to get better. I’m going to keep doing that until I physically cannot dance anymore but never again will I have to get a spray tan or wear fake eyelashes, which is pretty spectacular. I’m incredibly blessed to have had opportunities others can only dream of! I will cherish those memories for the rest of my life. Thank you to everyone who has been a part of this adventure 💕 On to the next one"
She didn't make the DCC or the Mavericks so I have a feeling Mary Kate isn't coming back. She seems to have gotten the running bug---I have a daughter who does competitive running and it's definitely addictive. Good for her! What ever Mary Kate decides, I give her kudos for coming back on Insta and moving on with her life. On her terms. You go girl. From last years TTC I'd like to see Taylor T and Lily come back and audition. I also like Madi (Ice Angels) and hope she tries out again. I hope Malena stays away. Last year wasn't kind to her and if she's got a great job, why deal with the pressure of MTT? Plus that cut was just brutal. Not looking forward to VK II: Mascara and Muffin Top Returns. Brooke was a Texas Legends Dancer and a DS Ice Girl. She was a finalist for the Dolphins cheerleaders last year..
Molly was a Texas Legends Dancer and a finalist for the Seattle Seagals. I liked Lily an awful lot. I hope if she comes back she is chosen. 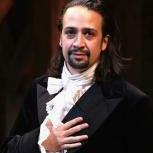 "I’m actually retiring, for real this time. And it has nothing to do with “giving up” and much more to do with the fact that my goals have changed. Great for Mary-Kate. I'm always so pleased when someone who didn't make the cut finds something else they love to pursue with equal passion and energy. (Preferably something more substantial than the world of instagram modeling/product shilling.) The DCC team is a great thing, but it isn't everything. I have a lot of respect for those who can let it go gracefully, no matter how long they'd worked for it. Not making it means nothing in the long run. Speaking of which...I wonder what Cristi Fisher is doing these days. As for Hannah, I respect hard work and follow through, but I'm a realist. She's not ready for DCC, and I suspect she knows it. She's got a lot of growing to do, but she seems like a sweet girl and I would like to see her make it past the first round. I wonder about Brooke Carnley. She's very pretty and seems like she can dance. I wonder what's been holding her back. Has she just been having bad auditions? Looks like Gracie is a veteran on the Oklahoma City Thunder Girls, and just got engaged. I'd be curious to know if she's serious about auditioning. Geena Rojas, the girl above her is a Senior at U. of Washington. If she's willing to fly out for prep class, I'd guess she's planning to fly out for auditions too. I wonder why not go for the Sea Gals. They're a good team. I hope to see Lily and Kristin audition again! I'm glad that Mary-Kate decided that there was more to her than auditioning for NFL/NBA teams and that she's in a better-for-her place then she was earlier. As for the rest, I hope Lily and Brianna Arredondo return. Brianna was a Dallas Mavericks dancer for several years and was even the team captain at one point. I think putting her next to a girl who was SO much taller than she was during kick line last year hurt her. She's also currently an Ice Angel. Love these TCU gals!! I’m partial since I graduated from there, but still. I have to research Cami...337k followers is BANANAS. Why on earth does she have so many?? From what I have heard from people, Gracie is pretty serious about trying out. I haven't gotten to see a lot from her, but what I have seen is really good. I'm hoping the rumors are true and she does audition. Cami was a 'celebrity' in the all-star cheerleading world. She competed for Cheer Athletics and Spirit of Texas. It's seems crazy but there are some cheerlebrities that have put themselves through college because of the coin they've made thanks to massive amounts of instagram followers. Add me to the people that hope Malena has moved on. Her nervous breakdown at her cut should be enough for them to keep her away from the team. I also felt she was used, but I don’t think their intention was to trigger a complete collapse. She was way too intense. I hope Lily and Brianna Arredondo return. Brianna was a Dallas Mavericks dancer for several years and was even the team captain at one point. I think putting her next to a girl who was SO much taller than she was during kick line last year hurt her. She's also currently an Ice Angel. Brianna was a Spurs Silver Dancer and is currently a Dallas Stars Ice Girl. I'll be shocked if she auditions. She may have changed her mind, but she has posted here before and said she only takes the classes for fun. Is she the one who was heavily favored to make TC back in 2017, made it to finals, but then blanked on the finals routine? I'll be shocked if she auditions. She may have changed her mind, but she has posted here before and said she takes only the classes for fun.